Although type 1 diabetes is currently untreatable, there are several things you can do to help lessen the symptoms of type 2 diabetes. 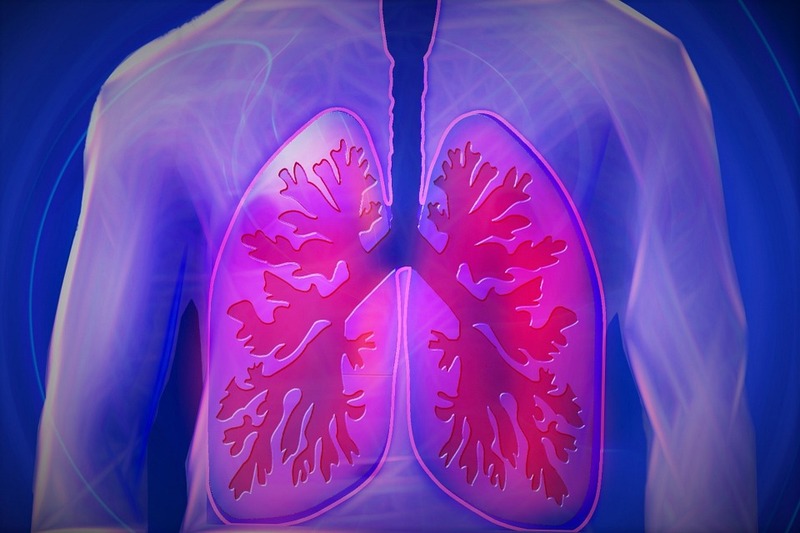 In some cases, home remedies may even be able to reverse the effects of your condition. According to the American Diabetes Association, there are nearly 21 million people living with diabetes in the United States. About 95% of these people have type 2 diabetes. Normally, the hormone insulin allows sugar in the form of glucose to enter your cells where it can be used for energy. However, in people suffering from type 2 diabetes, the body doesn’t produce enough insulin to carry out this task. As a result, blood glucose levels rise and your cells are deprived of energy. If left untreated, this can lead to problems with your sight, heart, kidneys or nerves. 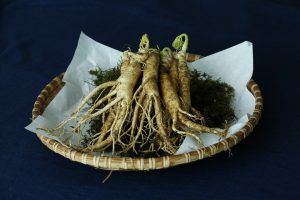 North American ginseng has been found in a number of studies to improve blood sugar control. As a result, it helps to reduce the build-up of glucose in your blood, making it a great home remedy for type 2 diabetes. Chromium plays an important role in helping your body respond correctly to insulin. It, therefore, improves the uptake of insulin, enabling your cells to get the glucose they need and preventing the build-up of blood glucose levels. You can usually take chromium as a supplement and after six months you should notice an improvement of your symptoms. Magnesium is found naturally in a number of foods, including leafy greens, seeds, and nuts. 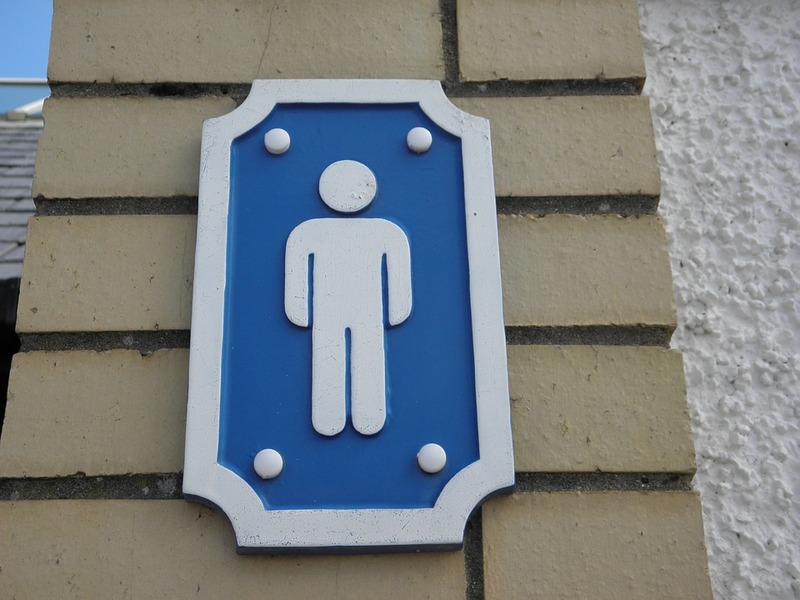 It’s a mineral that is crucial to a number of bodily functions, one of which is the regulation of blood sugar levels. To see the benefits, try including magnesium-rich foods, like spinach, to your meals. You can also try taking magnesium supplements. Taking too much magnesium can have negative side effects, however. These include diarrhea, low blood pressure, and loss of appetite so it’s best to talk to your doctor before taking supplements. In some studies, cinnamon has been found to help regulate blood sugar levels in those suffering from type 2 diabetes. Cinnamon can be included in a number of recipes and you can use it to make a sweet herbal tea. Fresh oysters are a rich source of zinc, which place an important part in the proper production of insulin. So, if you enjoy oysters, the good news is they may well help reduce your type 2 diabetes symptoms. 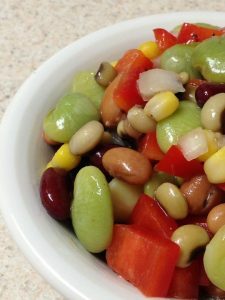 Like oysters, lima beans are naturally rich in zinc. This makes them a great home remedy for type 2 diabetes. Their high zinc content ensures you produce and uptake enough insulin to balance out your blood sugar levels. Another naturally rich source of zinc, almonds make a great home remedy for type 2 diabetes. Walnuts are another great source of zinc. Eating a few a day could really help to improve your symptoms – plus they make a great healthy snacking alternative to sugary treats. If you’re still looking for more way to get a little extra zinc into your diet, try some sardines. They’re naturally packed full of zinc and so really help your body to produce and use insulin properly. Buckwheat is another natural source of zinc that makes our list of home remedies for type 2 diabetes. Incorporate it into your diet regularly to help improve the production and storage of insulin in your body. Better known for its abilities to aid skin conditions, aloe vera actually makes a great home remedy for type 2 diabetes. 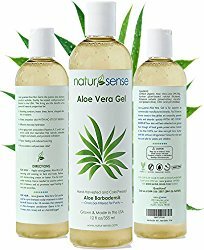 One study has shown that certain compounds contained in aloe vera are able to reduce the level of glucose in your blood, helping to balance your blood sugar in a healthy way. Gymnema is an herb which has been proven to work as a home remedy for type 2 diabetes. It can help to manage your blood sugar levels which is why it shouldn’t be used if you’re also taking insulin medication. If you use both remedies at once, you could end up lowering your blood glucose by too much. Vanadium is found naturally in many foods and has been shown to reduce your blood sugar levels. This is one of the key ways to reduce your diabetes symptoms. You should only use vanadium under the supervision of your doctor though, as it can be toxic if you don’t get the dosage right. Fenugreek contains amino acids which help stimulate the production of insulin, prevent cells from being unable to use insulin and thus decreases blood sugar levels. It’s not hugely effective but it could help to ease your symptoms a little if incorporated into your diet regularly. Getting enough vitamin D can be tricky, but taking supplements can help. By raising your intake of vitamin D, scientists suggest that you could have a 33% lower risk of developing type two diabetes. You should always discuss new supplements with your doctor before you try taking them. Ivy gourds are thought to help reduce your blood sugar levels. As a result, they make a great, but slightly bitter tasting, home remedy for type 2 diabetes. 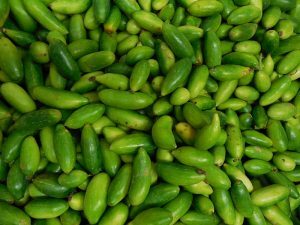 Although still in its early stages of research, some scientists believe that bitter melon could work as a home remedy for type 2 diabetes. This is because early studies indicate it has some effect on the ability of cells to take up insulin and use it properly. Milk thistle has been used for centuries as a remedy for a range of conditions. It’s now thought to have an effect on type 2 diabetes. This could be down to its antioxidant and anti-inflammatory qualities. Ginger is well known for its health benefits. Some studies have indicated that it can help reduce insulin resistance and decrease your blood sugar levels as a result. Although it is not certain which compounds or qualities of ginger enable it to have these effects, the studies do indicate that it does cause some improvement. You can add ginger to a number of recipes or use it to make an infused herbal tea to drink. Either way, it makes a good home remedy for type 2 diabetes. One of the lesser known effects of diabetes is the damage it can cause damage to your nerves. This can be quite painful and causes a lot of chronic pain in many sufferers. Acupuncture uses very thin needles which are then inserted into specific points in your skin. This can help to trigger the release of hormones which act as natural painkillers. As a result, it provides a natural relief to the chronic pain caused by the diabetes-related nerve damage. 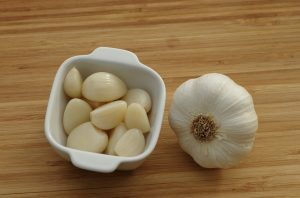 Garlic is known to have antioxidant properties, which many scientists believe makes it a great home remedy for type 2 diabetes. It also contains high levels of allium, which can help reduce blood glucose levels. In fact, allium has been proven to increase the secretion of insulin and encourage cells to take up insulin more effectively, reducing your blood sugar levels as a result. Bauhinia forficata is an herb which grows in South America. It is often used in a number of Brazilian herbal treatments. It has even been referred to as a ‘vegetable insulin’. This is largely due to the way in which it seems to replicate insulin inside the body. It, therefore, has hypoglycemic effects which enable it to balance your blood sugar levels. Like bauhinia foficata, this plant seems to replicate the effects of insulin inside the body. As such, it can help to prevent the build-up of glucose in your blood, keeping your blood sugar at a healthy level. Fig leaves are often used as a home remedy for type 2 diabetes in countries like Spain. Studies do seem to indicate that it has an impact on the rate of glucose uptake. By doing so, it manages a healthy level of blood glucose and reduces the symptoms of type 2 diabetes. Commonly known as the prickly-pear cactus, nopal has often been used by inhabitants of the Mexican desert to combat type 2 diabetes. It aids the intestinal uptake of glucose meaning your cells get the energy they need and your blood sugar levels are kept at a healthy rate. 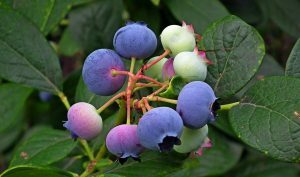 Bilberries are a small, dark blue fruit. In fact, they look much like smaller, darker blueberries with a slightly softer texture. They contain a particular compound called anthocyanoside, which helps to reduce your blood sugar levels. It also helps to boost the strength of your blood vessels, which can reduce the risk of damage to your retina which can often occur as a result of unmanaged type 2 diabetes. If you’re taking medication to lower your blood glucose levels you should probably avoid bilberries and their extracts as it could lower your blood sugar too much. Okra is rapidly becoming known as a superfood, particularly for people with a heightened risk of cancer and/or diabetes. Often referred to as ‘lady fingers’, okra is a long, thin vegetable that has a positive impact on your blood sugar levels. You can cut up okra into small pieces and soak them in water overnight. Drinking the juice, the following morning can help to bring down your blood glucose levels and reduce your diabetes symptoms. Eating the seeds of okra vegetables also seem to have a similar effect. Their positive effects seem to derive from an insoluble fiber contained within the vegetables. This fiber can help stabilize blood glucose levels by slowing down the absorption of glucose along the intestines. Including fresh basil leaves into your diet is a great home remedy for type 2 diabetes. They contain certain compounds which help to reduce high blood sugar levels and promote the proper production and uptake of insulin. Basil leaves can be added to a number of meals to add flavor. You could also juice the leaves and drink one tablespoon each morning. Making an herbal tea from mango leaves can be a great home remedy for type 2 diabetes. Boil around fifteen leaves in some water for around fifteen minutes. Drain the liquid and drink it on an empty stomach. Doing this once a day can help to bring down high blood sugar levels. Indian gooseberries are a rich source of vitamin D. This means they make a great, but often forgotten, home remedy for type 2 diabetes. They can help to balance the levels of glucose in your blood with the amount taken up by your cells. As a result, they help to reduce the effect of your diabetes symptoms. They also aid the production of insulin by boosting the productivity of your pancreas. 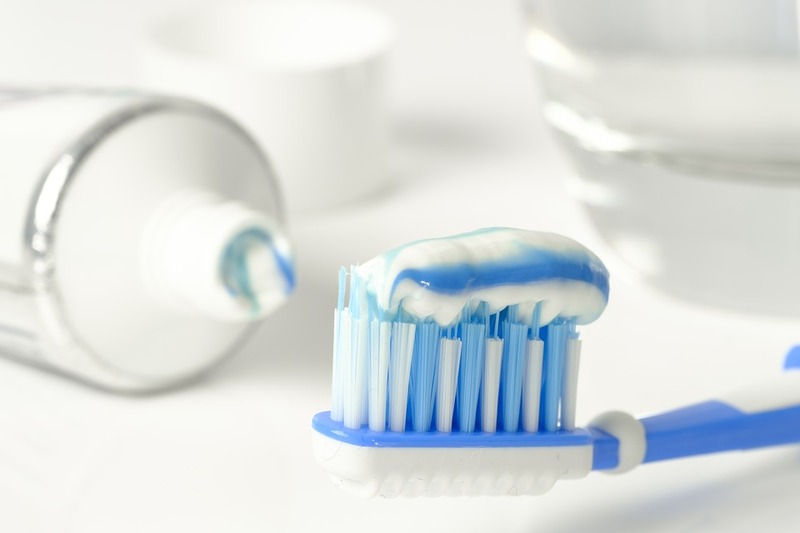 This further helps to ensure glucose is correctly taken up by your cells. To learn more ways to take in more amla to improve your health, check out this article: 6 Ways to Take Amla Fruit. 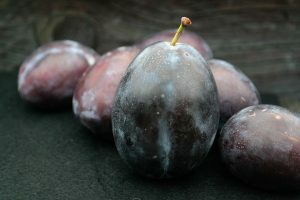 Many nutritionists are recommending black plums as a home remedy for type 2 diabetes. This form of plum is high in antioxidants and it is thought that consuming them can help reduce the symptoms of your type 2 diabetes. Curry leaves are an easy home remedy for type 2 diabetes that you can make the most of. They help to maintain a healthy blood glucose level and can be added to the majority of meals to add a flavorsome kick. Flax seeds make a great, filling snack. They’re low in sugars and calories which means they’re great for managing your diabetes. Not only that, but their high fiber content means they can help your body absorb fats and sugars which would otherwise worsen your condition. Although it has quite a bitter taste, Indian lilac makes a great home remedy for type 2 diabetes. Some studies have indicated that adding a little Indian lilac to your meals can stimulate the secretion of insulin which helps your cells use the glucose in your blood for energy. In doing so, it helps to combat the symptoms of fatigue that often result from your diabetes. Green tea can have a number of positive effects of your mental wellbeing and general health. Drinking one warm cup of green tea on a regular basis can help to maintain a healthy level of glucose in the blood. For this reason, green tea makes an excellent home remedy for type 2 diabetes. 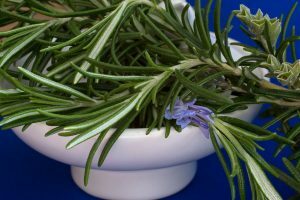 Rosemary does so much more than just add flavor to your meals! It can also help to regulate your blood glucose levels and keep your cells healthy and energized. A regular appearance in many Italian recipes, oregano is a little-known home remedy for type 2 diabetes. Like many of the home remedies on our list, oregano can help reduce the levels of glucose in your bloodstream. It also helps to regulate the uptake of glucose into your cells. Sage can often be combined with diabetes medication to improve the regulation of blood glucose levels. This is probably why sage has made an appearance in a number of ancient and traditional medicines over the centuries. Alcohol is one of the major risks of developing type 2 diabetes. This is because it can cause dangerous spikes in your blood glucose levels and cause liver toxicity. In fact, research has shown that heavy drinking can cause a 43% increase in the incidence of diabetes. Beers and sweet tasting liquors are the major culprits and should be avoided even when you do have the occasional alcoholic drink. It might seem obvious, but it’s worth mentioning that eating more refined sugars is a big no-no if you’re suffering from diabetes. Food and drinks which contain high levels of refined sugars can cause dangerous peaks in your blood sugar levels so it’s best to avoid them. Fruit juices and sodas are often the worst sources of refined sugars. 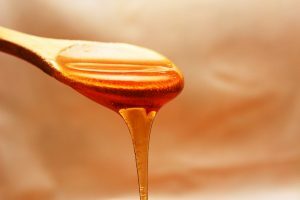 If you have a sweet tooth, you can swap out refined sugars for natural sources such as honey or maple syrup. These can still affect your blood sugar levels, although not as much as refined sugars, so they should be limited but don’t need avoiding altogether. Obesity is one of the major risk factors for developing diabetes. By exercising regularly, you can keep your body healthy and reduce your risk of developing type 2 diabetes. Gluten-containing grains, such as wheat, are high in carbohydrates. These carbohydrates are broken down into sugars very quickly, which can cause your blood sugar levels to spike. 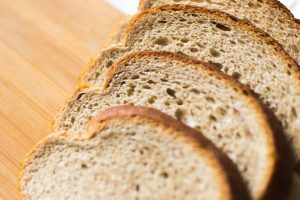 If you’re suffering from type 2 diabetes, switching to a gluten-free diet could be a real benefit for you. Research has indicated that as much as 90% of the US population isn’t getting enough fiber in their diet. This is bad news if you’re suffering from diabetes. Fiber helps to slow down glucose absorption and balance the levels of glucose in your bloodstream. You should be aiming for at least thirty grams of fiber in your diet each day. You can reach this by including more Brussel sprouts, peas, artichokes, nuts, berries and seeds into your diet. Which of these home remedies do you plan on trying? Comment below! Ivy gourd picture by Aravind Sivaraj.